Yesterday, videos and photos have been circulating on Whatsapp messenger and social media of infrared cameras placed on top of the overhead bridge along Nicoll Highway. As the cameras are placed in an area within reach, many Singaporeans have done their own research and found out that these cameras also have automatic number plate recognition capabilities. 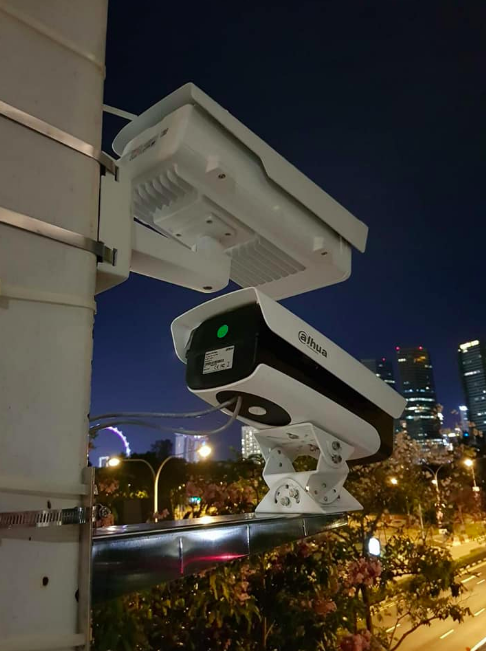 There has been much speculation by netizens and Singaporeans alike about these cameras, none of which have been confirmed by the authorities. The cameras though, are curiously placed in a position within reach, where they may be subject to human interference. Road users have also shared photos of the infrared light emitted by these cameras at night, and caution others not to go above a speed of 70 kilometers per hour. One netizen, Alvin Heng, specifically mentions that the cameras are pointed in the direction of Geylang. In a post with up-close photos of the camera he wrote, “New infra-red camera at Nicoll Highway MRT overhead bridge in the direction of Geylang, let all your members know speed limit is 70km/h”. However, there are others that say these cameras are not speed cameras. 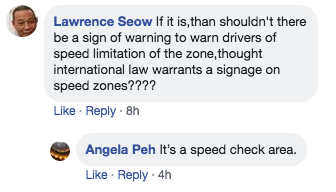 A video on Facebook page ROADS.sg was captioned, “This is NOT a speed camera, but a traffic monitoring and security camera with ANPR(Automatic Number Plate Recognition) capability. It is also with Infrared radiation (IR) capability for night vision operations. ANPR is a technology that uses optical character recognition on images to read license plates with high recognition accuracy. ANPR applications include toll collection, traffic monitoring and security, average traffic speed and journey time measurement, etc. The Land Transport Authority (LTA) announced on Mar 2018 that it will be testing new camera systems along expressways and major thoroughfares like Nicoll Highway from now until 2019. Netizens cautioned each other not to speed in the vicinity. It is safe to say that road-users were not being safe at all by banding together.